Professor of Materials Science & Engineering and Electrical & Computer Engineering at Clemson University. While still an undergraduate at Rutgers University, Dr. John Ballato and his mentor, Elias Snitzer, the “father of the glass laser,” invented a new process for manufacturing optical fibers. Their Molten Core Method enables a greater number of chemical compounds to be used to create new optical fibers. Today, the molten core approach is employed in over 40 countries to realize a very wide variety of novel and useful optical fibers, leading to countless technologies and practical uses. Now, as optical fibers approach their capacity to carry data and power, Dr. Ballato is once again transforming the fundamental pipeline of innovation by engineering fibers for the future. While most optical scientists aim to increase capacity by continuing to redesign and reengineer existing fibers with increasing complexity, which is also more expensive to manufacture, Dr. Ballato leads a different strategy, approaching the problem as an advanced materials scientist. His methods have always relied on the sophistication of simplicity. Instead of creating more complex fibers from conventional materials, Dr. Ballato and his team are creating new materials from which to make new kinds of fibers. Using his fundamental understanding of light-matter interactions and glass constituent models, he has identified new materials with zero optical nonlinearities that would otherwise limit light transmission. Put into practice, there could be nearly unlimited bandwidth to address some of the most critical global challenges and opportunities: Communications drives social change; low-cost, high-precision manufacturing drives economic prosperity; simpler, lower-cost lasers for medicine drives reduced health care costs and enables access in third-world counties; and lasers 50-times more powerful than those today enhance defense and security. Indeed, all these technologies are being developed. Dr. Ballato earned 14 patents from his dissertation work. Since earning the Ph.D. in ceramic and materials engineering in 1997, he has added 20 U.S. and foreign patents. While his work is novel and transformative, his simplicity-is-sophistication philosophy transfers easily from the lab to manufacturing, reducing barriers to commercialization. Optical fibers enable a large portion of the $7 trillion annual economic impact light-based technologies make worldwide, an industry to which Dr. Ballato has contributed significantly. As an entrepreneur, Dr. Ballato founded two technology companies that have employed more than 70 people. As a principal investigator at Clemson, he has received more than $60 million in grants, contracts, and gifts. But his focus has largely been on the downstream creation of opportunities for others. During his tenure as Associate Vice President for Research and Economic Development at Clemson, and later as Vice President for Economic Development, Dr. Ballato worked with South Carolina officials and industry leaders to recruit dozens of companies to the state, creating thousands of jobs and contributing millions to annual economies. 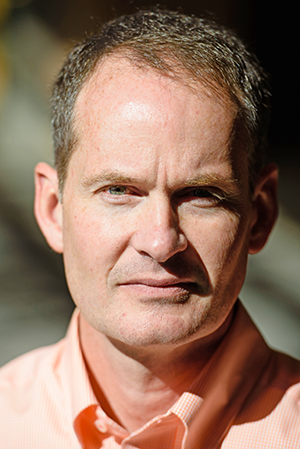 In 1997, as a young, non-tenured assistant professor, he was chosen to lead the creation of a major interdisciplinary research center. Under his leadership, the Center for Optical Materials Science and Engineering Technologies (COMSET) was born in 2000. 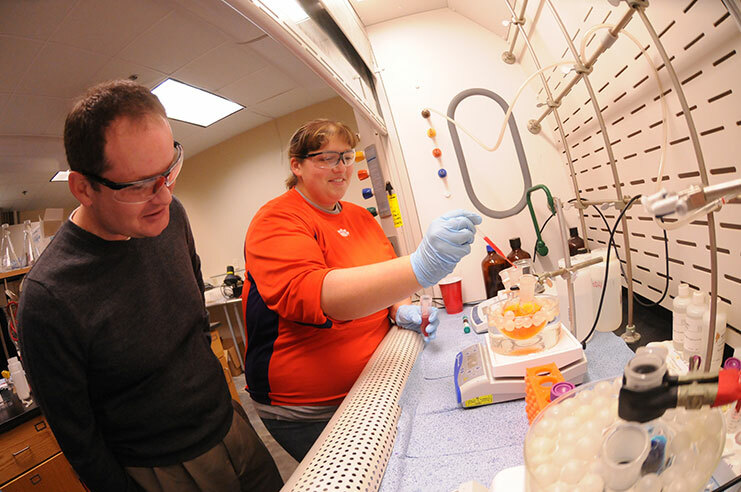 Since then, 40 faculty members of the center have attracted more than $90 million in research support. In 2002, Dr. Ballato led an effort that formalized a research alliance between Clemson University, the University of North Carolina-Charlotte, and Western Carolina University to form the Carolina Micro-Optics Triangle. 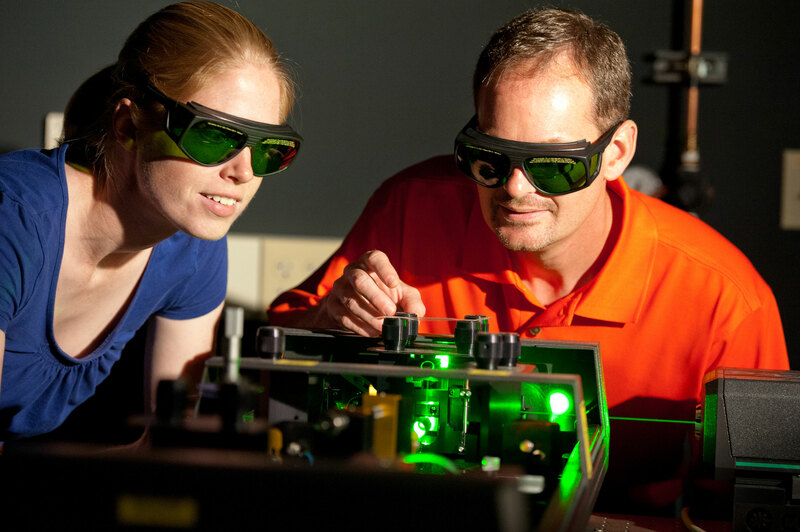 In 2005, with the addition of Duke University, North Carolina State University and Eastern Carolina University, the organization became the Carolinas Photonics Consortium. In part because of his efforts to turn a declining economy rooted in manufacturing into a thriving knowledge-based economy, he was selected in 2005 as a Liberty Fellow, a South Carolina-based incubator for values-based leadership that is part of the Aspen Institute’s Global Leadership Network. Remarkably, Dr. Ballato has created a global reputation, and had worldwide impact, from a small, Appalachian college town that lacks the logistical, professional, and brand recognition benefits of universities in known technology hubs. Dr. Ballato’s inspiration for invention and his dream of pursuing practical engineering solutions began when he was big enough to crawl onto his father’s lap. As Dr. Arthur Ballato, a renowned chief scientist with the U.S. Army Communications-Electronics Research and Development Center in Fort Monmouth, New Jersey, designed frequency control devices, young John watched and wondered at the equations, which looked like doodling. Looking back, John realizes he grew fascinated by the ability to describe nature in simple, yet elegant, terms, and the potential to translate nature’s beauty from the theoretical to the practical. Art Ballato fostered in his son the challenge to think large, and to tackle the most confounding challenges, because, once achieved, they deliver the largest positive impact to society. His father also instilled in his son a culture of mentoring. Dr. Ballato believes his contributions will be built upon by future generations; therefore, his work has the greatest opportunity to improve lives around the world only if he shares his knowledge. He has served on 120 graduate student thesis committees and has taught over 2,000 students, even as he carries out his role as a faculty leader. His peers around the world have invited him to present his work more than 200 times, but participating in student-oriented summer schools and workshops, where he can work individually with young minds, is just as important. Dr. John Ballato’s ingenuity and his passion to contribute to society have earned him numerous honors, among them election into the National Academy of Inventors and the World Academy of Ceramics, elevation to Fellow of the Institute of Electrical and Electronics Engineers (IEEE), the Optical Society of America (OSA), the International Society of Optical Engineering (SPIE), and the American Ceramic Society (ACerS) and recipient of the Schwartzwalder-PACE Award (American Ceramic Society, 2004) “in recognition of the nation’s outstanding young ceramic engineer whose achievements have been significant to the profession and the general welfare of the American people.” Rutgers has twice honored him as a distinguished alumnus. Dr. Ballato’s research focuses on new optical materials and structures for high-value photonic and optoelectronic applications. This includes light-emitting nanoparticles for transparent ceramics, lighting, and sensing applications. Additionally, Dr. Ballato’s group develops specialty optical fibers for high energy laser, biomedical, and industrial uses. 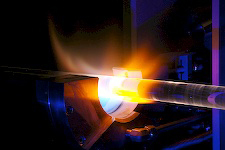 The powder-in-tube method for directly fabricating optical fibers from unstable or unusual compositions. Record Faraday rotation in a fiberizable aluminosilicate glass. Hole-blocking in carbon nanotubes nanocomposite organic light-emitting diodes. First ultra-large mode area optical fibers utilizing the index antiguiding gain-guiding phenomenon. First core/multi-shell doped nanoparticles that can control the energy transfer between dopants. Simple formalism to make slow light structure from a wider variety of commodity materials. First fabrication of sub-wavelength grain-sized highly-transparent sesquioxide ceramics. Deducing the Properties of a New Form of Diamond: Simple model used to compute elasticity of newly synthesized glassy diamond, an American Institute of Physics (AIP) press release associated with paper “Deduced elasticity of sp3-bonded amorphous diamond,” Applied Physics Letters 111, 221901 (2017). MaterialsViews feature associated with paper “Intense and Energetic Atmospheric Pressure Plasma Jet Arrays,” Plasma Processes and Polymers 9, 253 – 260 (2012). Alumina aplenty, an Interview with the journal Nature associated with paper “Sapphire-derived all-glass optical fibers,” Nature Photonics 6, 627 – 633 (2012). Silicon Optical Fiber Made Practical, a press release from the Optical Society of America (OSA) associated with paper “Silicon Optical Fiber,” Optics Express 16, 18675 – 18683 (2008). 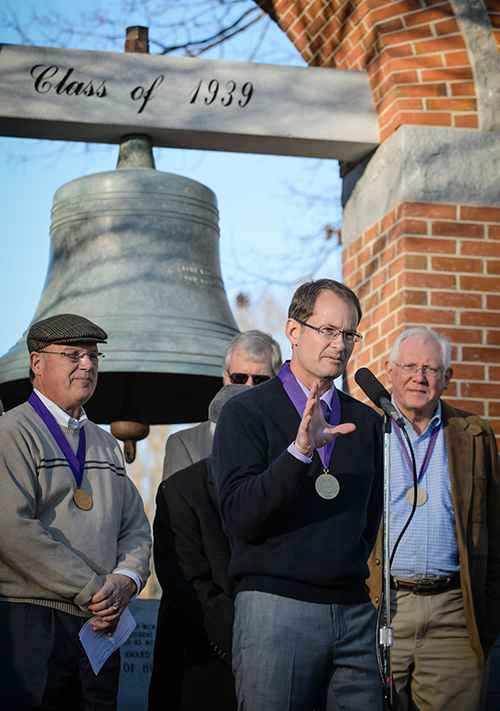 Clemson Your Day radio broadcast (5/21/14); story of Ballato and optics at Clemson. NPR Research News “New Material Makes the Most of Light” [March 2, 2007]. Future of Fiber Optics [Clemson News Now, Mar 4, 2016]. Thank you for visiting my site. Please reach out to me using one of the methods below, or by filling out the form.